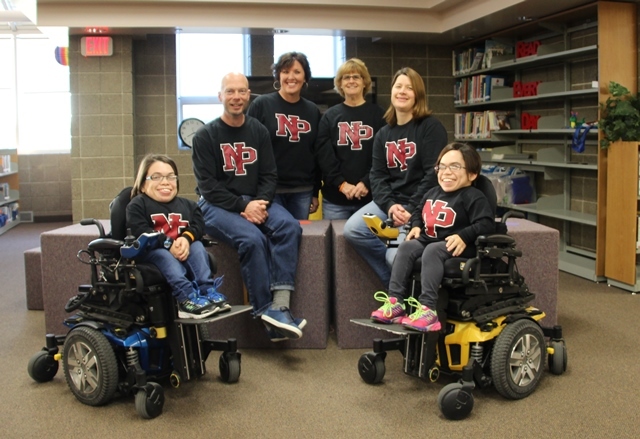 New Prague Area Schools are blessed to have many committed volunteers helping out in our buildings. But to say volunteers Kelsey and Coley Novak are dedicated is an understatement. For the last nine and seven years respectively, Kelsey and Coley have hardly missed a day of sharing their talents with our students. Kelsey and Coley, daughters of Roger and Cathy Novak, both graduated from NPHS. Kelsey in 2009 and Coley in 2011. 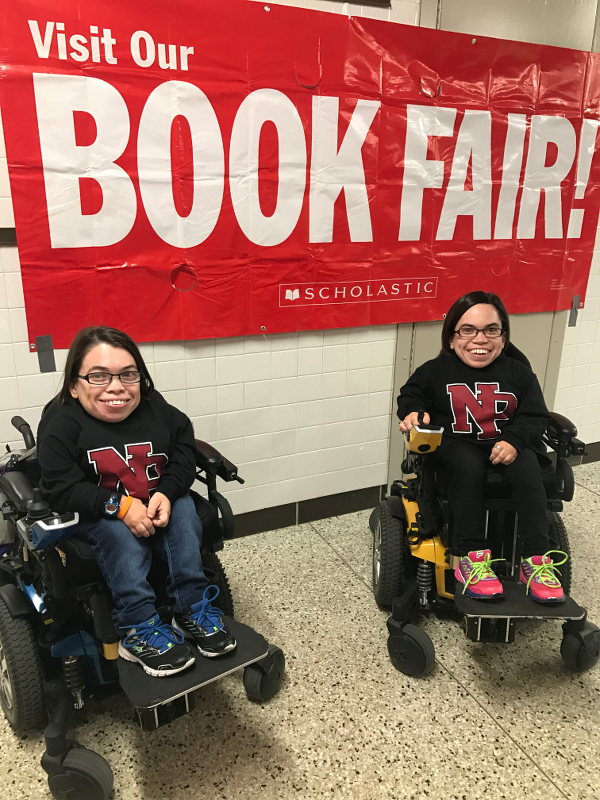 The sisters have Morquio Syndrome, a disease that affects their bones and stunts their growth, but it hasn’t slowed them down from making an impact in our classrooms. Kelsey spent her first five years after graduation volunteering with Lisa (Josephson) Sneen at the Middle School. “My mom and Lisa were friends and I had her as a teacher. She talked to my parents about me helping out in her classroom and that’s how I got started,” said Kelsey. When Ms. Sneen moved to Falcon Ridge four years ago, Kelsey followed her there. She has also volunteered with Rich Wilson and Erika Ehrich. The Novaks were also good friends with Mary Drazan, second grade teacher at Falcon Ridge. Coley was Mrs. Drazan’s high school helper while in school and so it was a natural fit for her to volunteer with her after graduation and all seven years since. The Novak sisters do a variety of tasks from correcting papers to assisting with technology and providing students with extra help in any subject. “Anything the teachers need help with, we are there to assist,” said Coley.